Perceptions of place are just as important as the physical environment, but measuring people's experience of a place can be difficult. StreetPulse helps you assess User Experience to better understand behaviour and identify opportunities for intervention. Harness the power of the crowd to conduct user experience assessments from multiple individuals. Combine results to paint a picture of how a place is utlised, perceived or experienced. 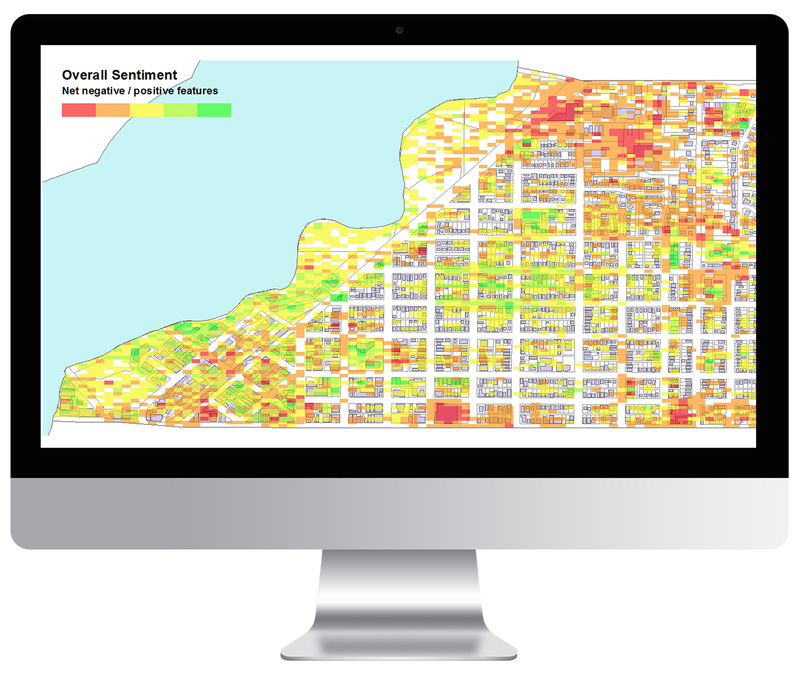 Understand what’s working and what's not by mapping user data points to reveal hotspots and identify areas for improvement or intervention. 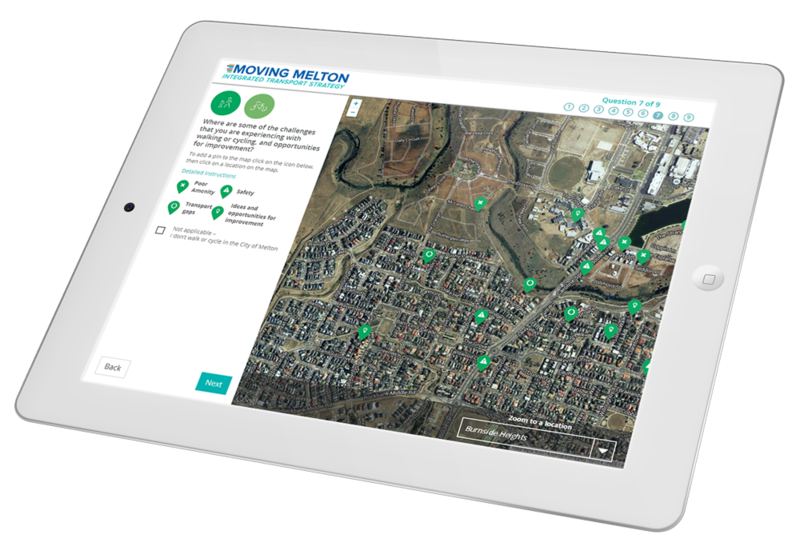 Invite users to make place-specific suggestions for improving their environment and develop responsive and supportable design responses. Guide users through a series of customisable questions to assess perceptions, identify use patterns and highlight issues and opportunities. 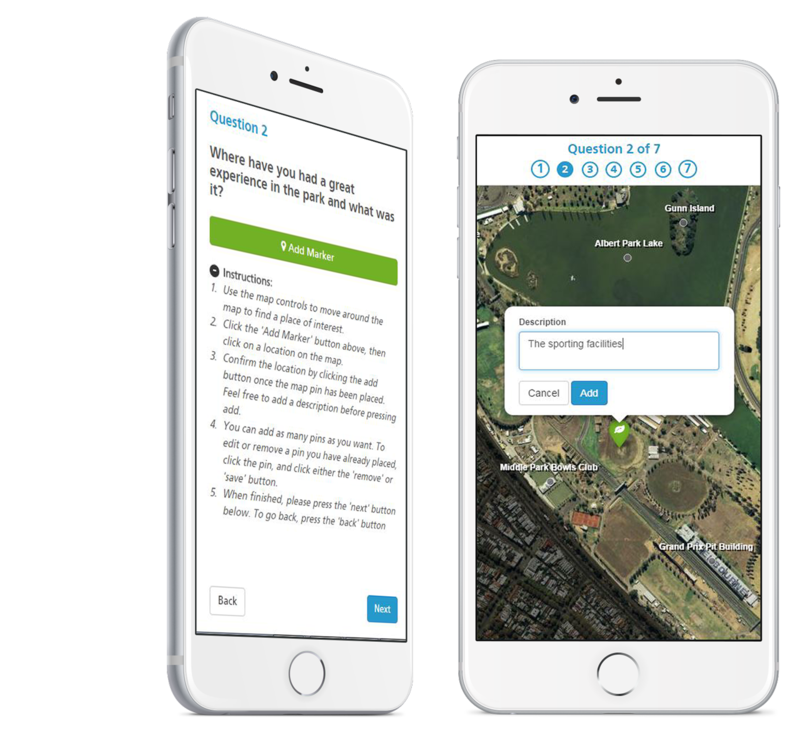 Collect user responses in the context of place by having them pin responses to an interactive map, and follow up with a series of qualifying questions. Track responses in real-time and view hotspot mapping of the results. Collect demographics from your users to understand and compare how different groups utilise and perceive space. Incorporate your brand identity to make the product your own by adding a logo and customising colours and fonts. Quickly launch the app without downloading any software and start using in a safe and secure in environment. Access our help documentation and friendly customer support team to get the most out of using the product. We may collect information from you when you sign-up for the platformsite, leave feedback or otherwise input data. Required information may include personal information such as your name, phone number, email and suburb.